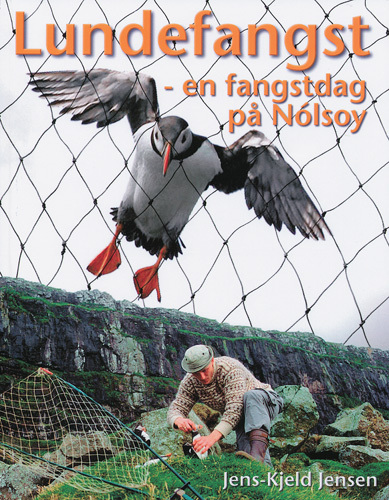 Jens-Kjeld Jensen has written a book about puffin hunting in the Faroes. The book contains 88 illustrated pages with a lot of new and also older and very rare photographs. 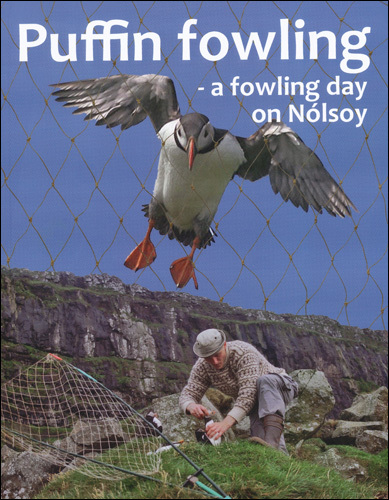 This book is one of a kind and the first ever, that explains how islanders live in pact with nature. 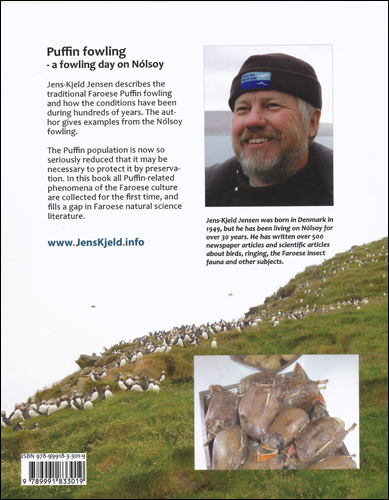 You can for example both read and see detailed photographs about how the ketcher is built up, the regulatives in the hunting, the breeding colony, the estimated number of puffins as well as other Faroese seabirds. 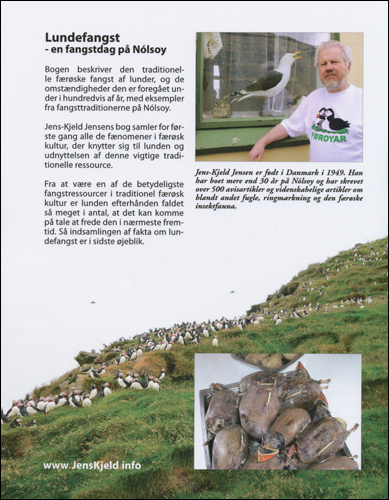 Further more Jens-Kjeld gives his opinion about the decrease in the seabird population.